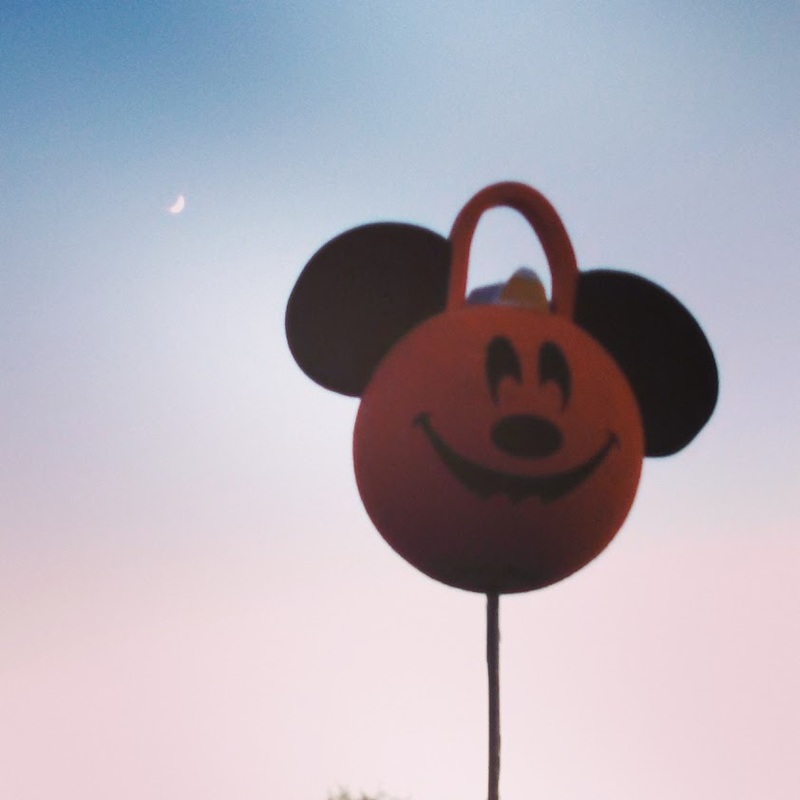 The BB Life: Halloween was four months ago. But I'm posting about it now! 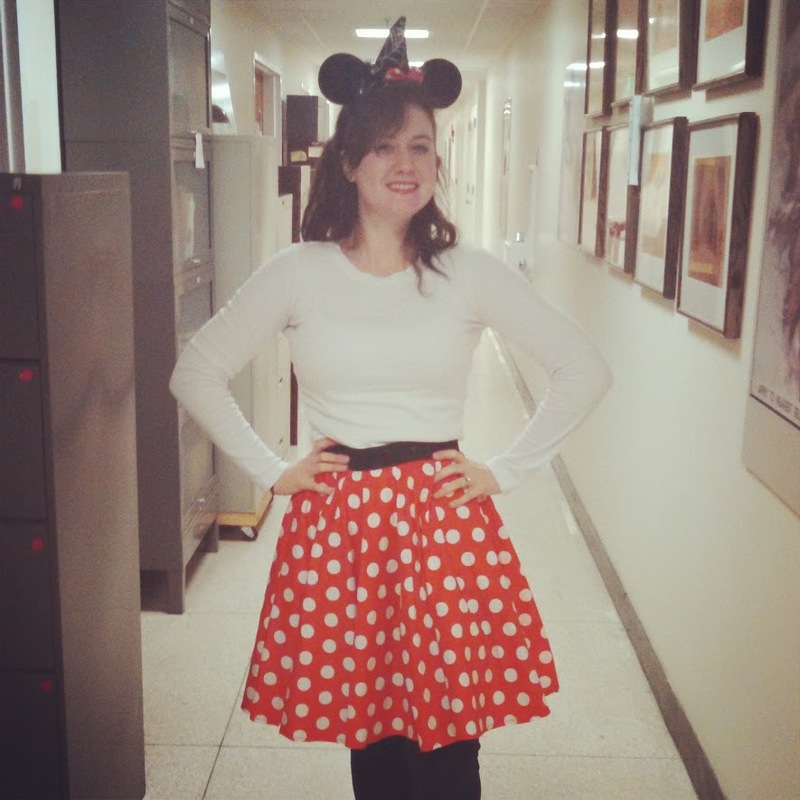 I will never not be a Disney character for Halloween; this is a given. 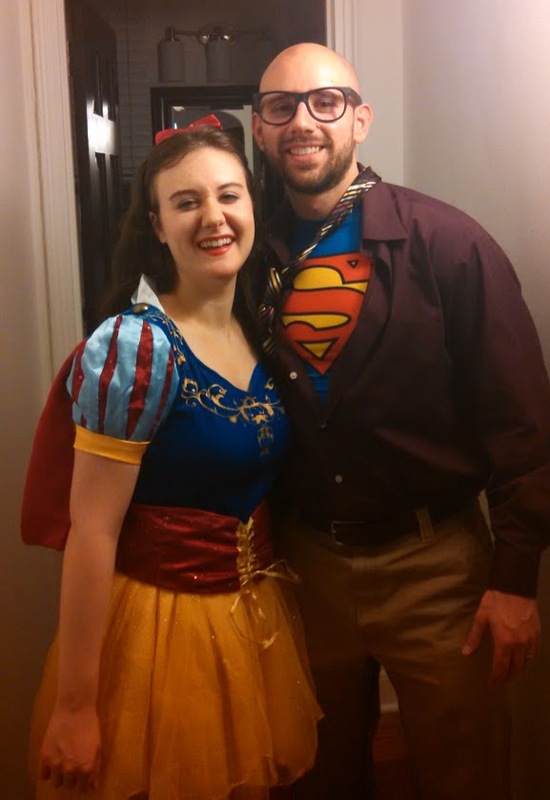 This year I wore not one, but two costumes: a work appropriate Minnie Mouse and a less work appropriate Snow White. 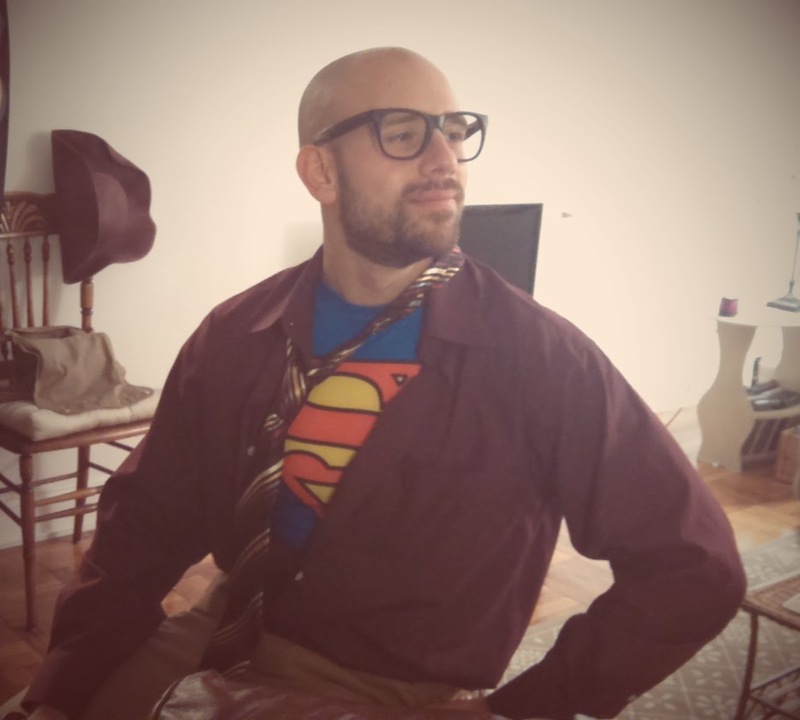 Did I have my annual review at work that day? Yes, yes I did. 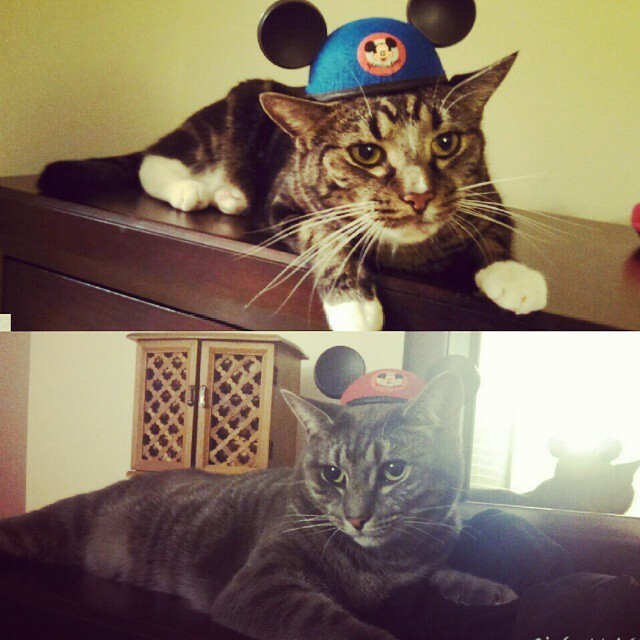 Did I wear my Minnie ears? Absolutely. 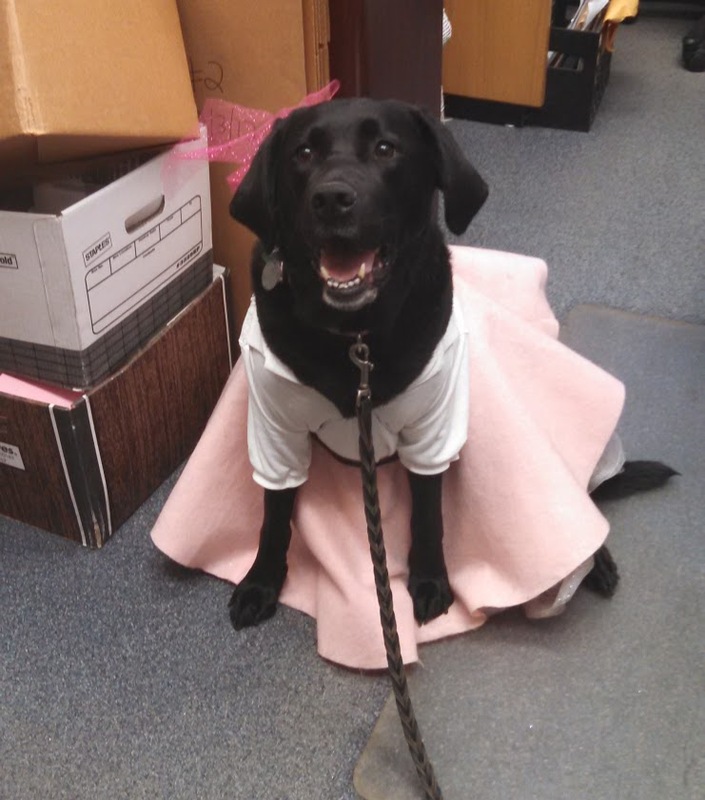 The world's most cutest museum dog was a 50's lady, complete with poodle skirt. And Tesla and Truman were reluctant but fabulous Meowsketeers, as usual. I marvel at my artistry. Ben managed to get me out of the house to a party thrown by his friends. I crashed by 11 and went home. I tried, I really did, to do Snow White hair. 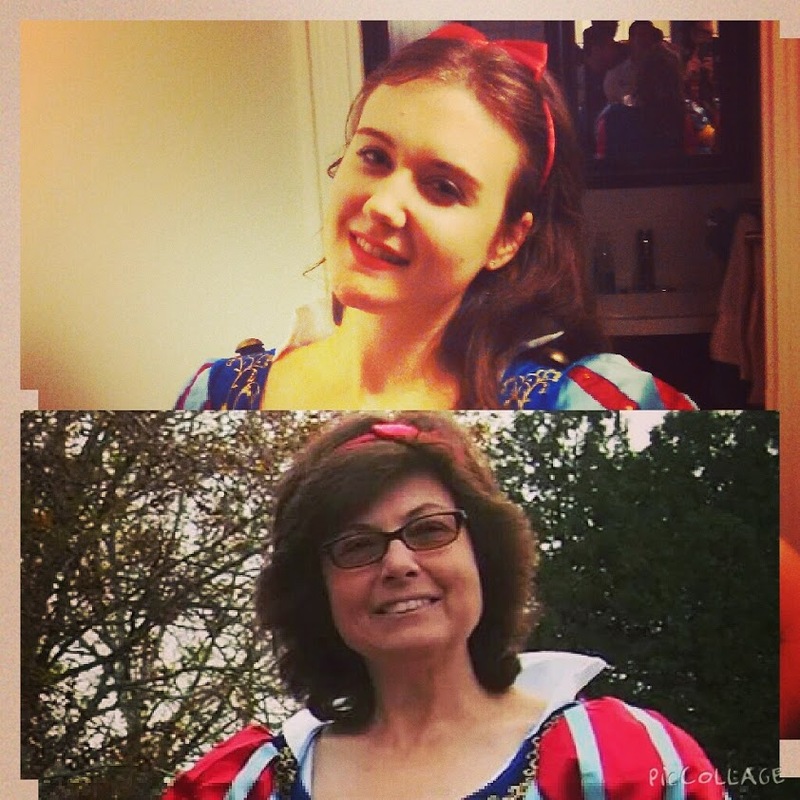 Because we are an adorably Dis-nerdy family, my mother and I wore the same costume.